Support for the Public Library in Ames, Iowa has always been strong. During the 1980s the library tripled the size of the original 1904 Carnegie Building with a complete renovation and addition. 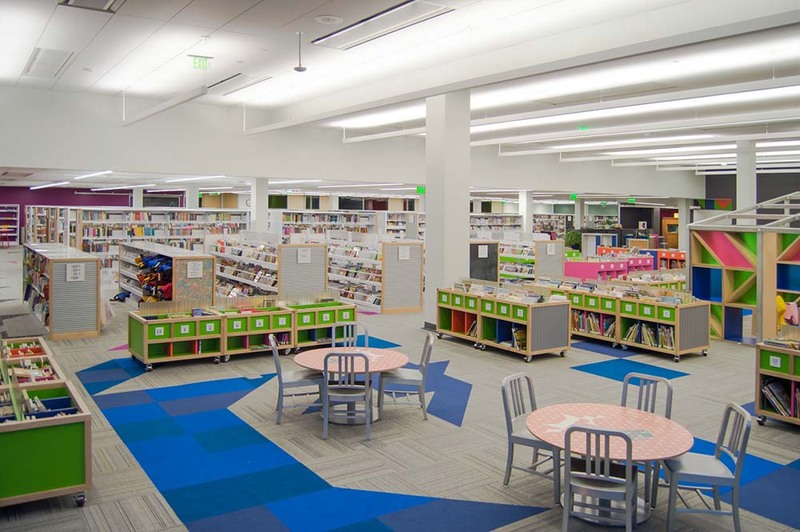 After 30 successful years the library had expanded its collection and programming to a point where another major renovation was required. 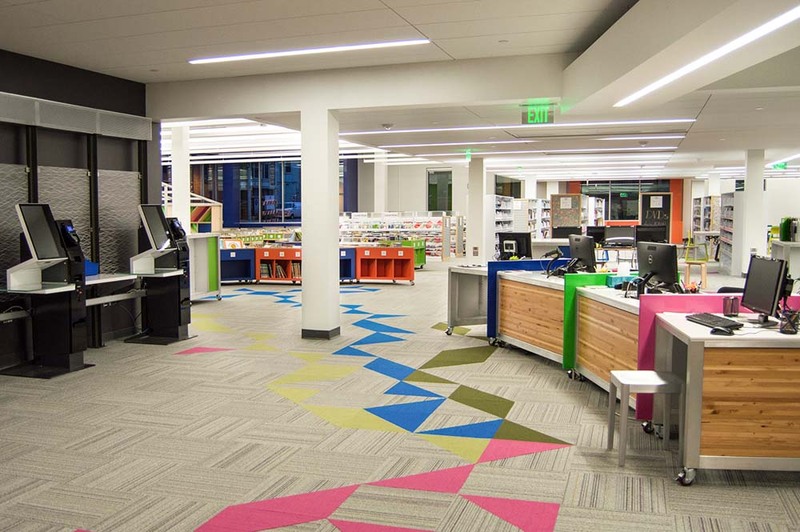 In 2012 the Ames Public Library hired MSR Design and MODUS to provide design services for the renovation and expansion of their facility. Although the mechanical system was still performing, several elements of the hot water system, air handlers and chiller were becoming unreliable and costly to maintain, necessitating the complete removal of the existing system. 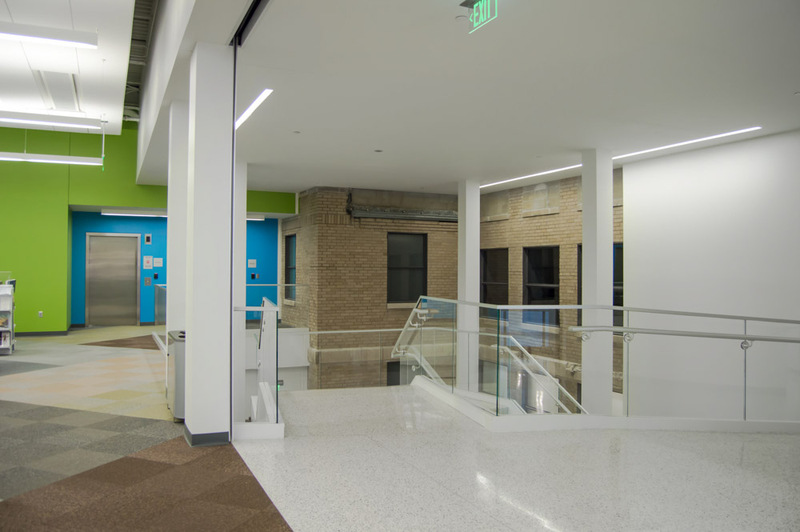 To meet these objectives the MODUS team utilized chilled beams throughout the majority of the new and existing building. The chilled beams offered quiet air delivery, reduced ceiling plenum height due to reduced ductwork and provided a means of efficiently transferring energy via chilled and hot water. Low-temperature hot water is provided by two condensing boilers while chilled water is produced via a high-efficiency roof mounted chiller. A unique attribute to the hot and chilled water system is the heat recovery chiller. The HRC is able to provide chilled water to interior zones during winter operation while the roof chiller is not in operation. 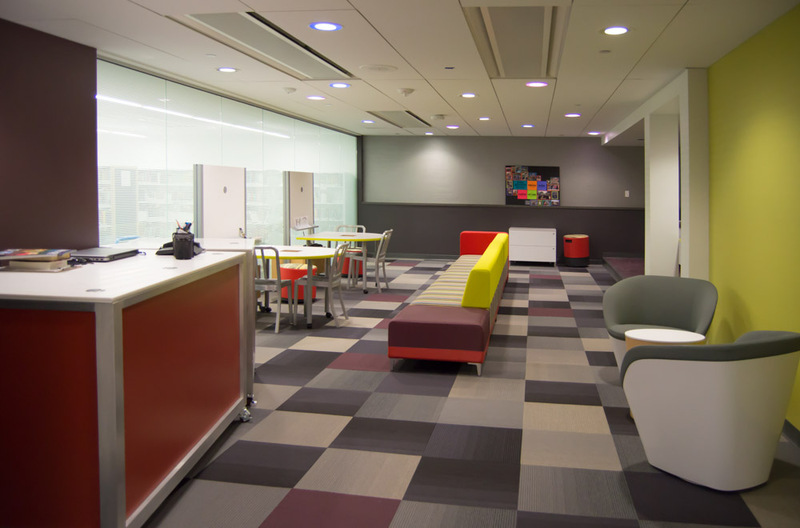 The removed heat from these interior spaces, such as data and conference rooms, is transferred to the hot water system without adding a load to the gas boilers. In order to limit the impact in the Carnegie building, a small traditional variable air system with reheat boxes installed. This allowed for fewer penetrations in the existing ceiling and provided more localized heating and cooling for the older building’s original windows. To increase efficiency further, the MODUS team used a dual wheel energy recovery unit to provide the ventilation requirement for the entire facility. The energy within the exhaust air is transferred to the incoming air, thus reducing the heating load during winter and the cooling load during summer. The scale of the facility renovation and addition required a complete replacement of all electrical components. 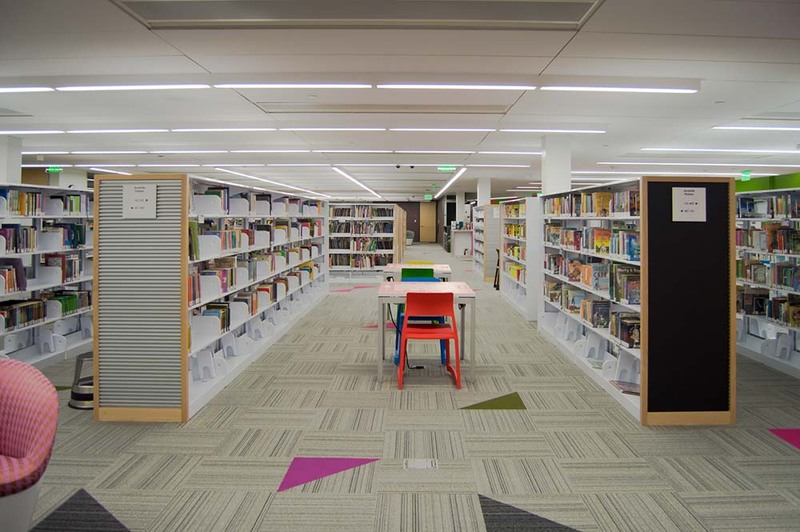 A central battery exit and egress lighting system was selected to allow ease of maintenance to minimally impact architectural ceilings. 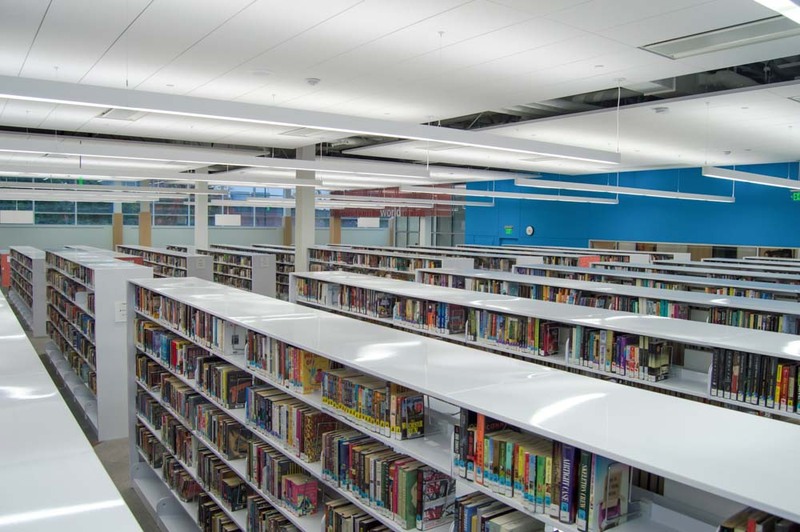 Digital lighting controls provide a fully automated system allowing energy savings through the ability to turn fixtures off when not in use in select locations and allowing fixtures to follow a schedule in other locations. The electrical distribution system for the project was designed by MODUS to fit the space made available by MSR. All equipment is held to spaces allowing staff access only. Raceway for all electrical systems was coordinated with care to maintain visual appeal through new spaces as well as the exposed masonry conditions common in the 1904 portion of the facility. 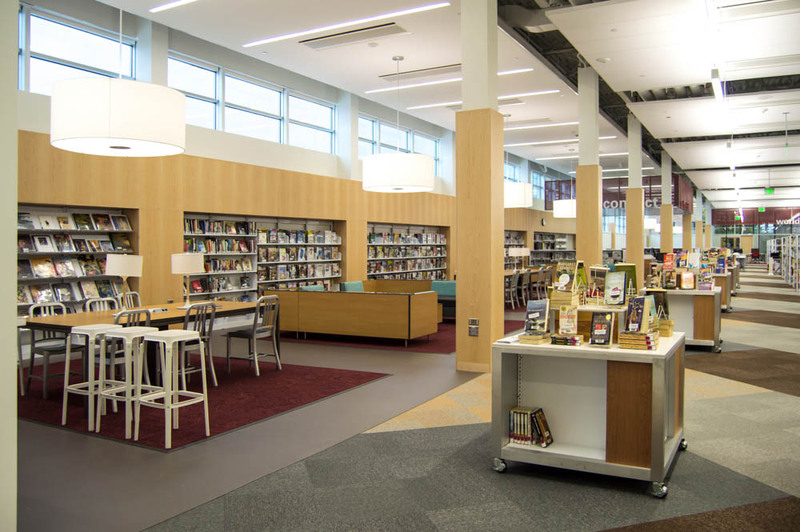 The Ames Public Library contains a large auditorium space that can be divided into equal halves. Through utilization of Crestron switching components and Sony projection, from an Audio/Visual standpoint, the North and South Auditorium are capable of acting as one or independently. The public is able to rent the North, South, or both. For smaller functions, the Audio Visual system is capable of only serving the rented space. During larger events, a “room combine” feature allows all overhead audio in both the North and South Auditorium spaces to merge using the same source. Each room hosts an XLR infrastructure to allow wired microphone capabilities to be broadcast to the overhead audio.